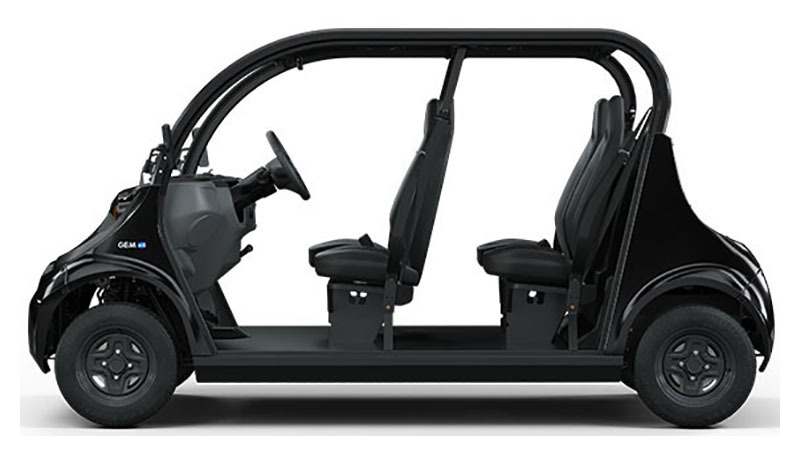 Stand out from the typical golf cart with four forward-facing high back seats, 3 point safety belts and plenty of legroom. GEM e4 combines its superior comfort and security features to be the optimal on-road transportation vehicle. STREET LEGAL: GEM e4 has safety features that make it a street legal vehicle on roads posted 35 mph or less in most states and provinces. PREMIUM COMFORT: Extra legroom, comfortable seats and superior ergonomic design allow you to ride in leisure. 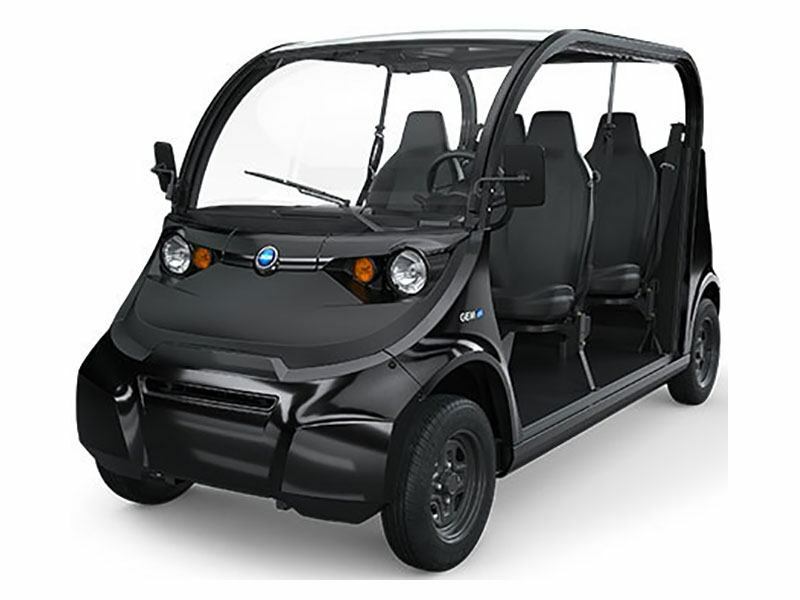 SAFETY FEATURES: GEM's LED turn signals and lights, automotive glass windshield and 3 point safety belts will give you an extra sense of security. 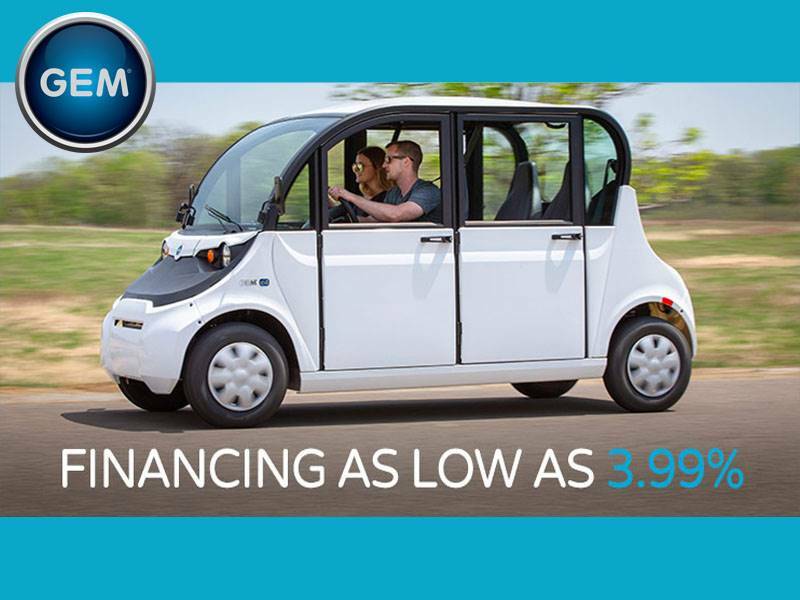 SMALL CARBON FOOTPRINT: GEM vehicles are electrically powered and have zero emissions. Drive sustainably with GEM. LOW COST OF OWNERSHIP: The average operating cost of GEM vehicles is $0.03 per mile, significantly lower than vehicles like trucks or vans. CUSTOMIZABLE: Whether it's for utility or aesthetics, GEM has interior and exterior options available from the factory to meet your needs.